Mmm…mmm Waffles! Those delightful squares of dough that is patterned with characteristic indentations. What is better for breakfast? 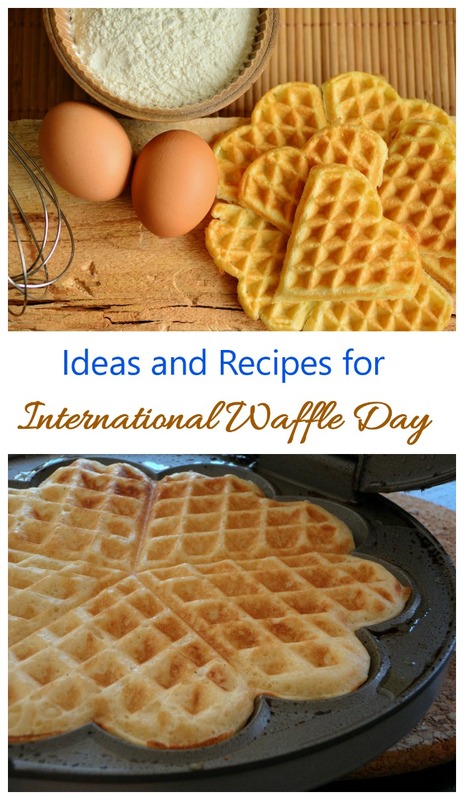 March 25 is recognized as International Waffle Day and is the perfect day to bring out that waffle iron. It’s one of the tastiest of National Days! A lot of the national and international days are associated with food in some way. Don’t know what national days are? Find out more in my National Days Guide. For another fun food national day in March, check out Johnny Appleseed Day – March 11. 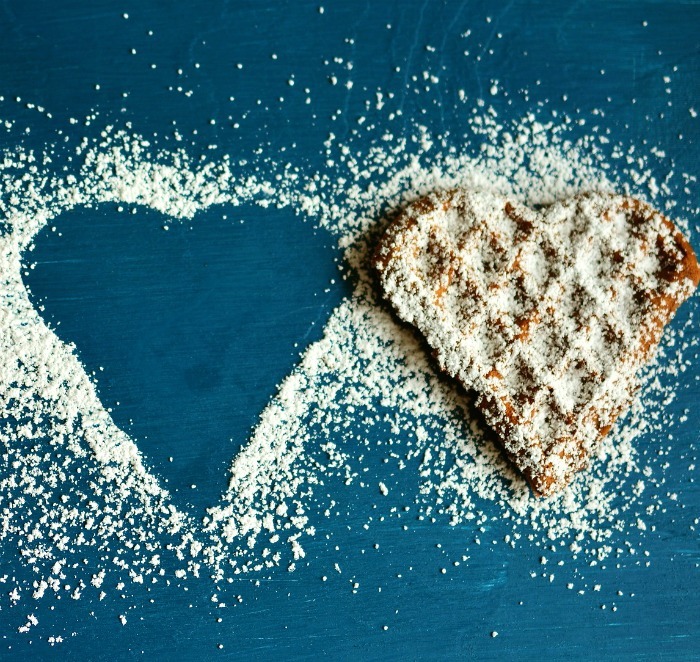 Waffles are eaten throughout the world and Belgian waffles, a foodie special love, has over a dozen regional varieties. You can make them yourself with a favorite recipe, or choose the frozen kind when you are in a hurry. International Waffle day was first celebrated in Sweden and it didn’t take long for it to spread world wide. As a matter of fact, the breakfast treat actually has two days associated with it! One today and also the national day that is celebrated on August 24, which began in the USA. The name of the treat comes from the word Vårfrudagen which is “Our Lady’s Day” in Sweden. In Swedish the name of the holiday sounds almost like Våffeldagen, which means waffle day. Waffles date back to the 1300s when they were eaten in Greece. The Greeks cooked flat cakes between two metal pan and topped them with cheese and herbs. Our sweeter waffles came much later. No matter which day you choose to honor this tasty and delicious food, it’s a wonderful way to start your day. Spread the word on social media with the hashtags #internationalwaffledau and #waffleday. Use a fancy waffle maker iron to get your waffles in new and fun shapes. There are all sorts of them available now, from a Mickey Mouse Waffle Iron to those that make fun animal shapes. Have friends over for brunch and ask them to bring their favorite waffle recipe for you all to try. The weather is warming up and you might even be able to make it an outdoor party! Try out a new and different waffle recipe. Waffles don’t have to just be for breakfast. Perhaps you’ll top your waffles with fried chicken drumsticks and have them for lunch. Or maybe confectioner’s sugar and ice cream takes your fancy for dinner tonight. I’m sure we’ll all agree that eating them is the key, not the way we make them! Instead of a normal ice cream cone, opt for a waffle cone today. It gives you the great waffle look in a tasty cone shape. There are almost 2000 National Days. Don’t miss a single one of them. Come often to see which National Day we are celebrating here at Always The Holidays. Also, be sure to check out the monthly calendar to see what other March National Days are celebrated this month.